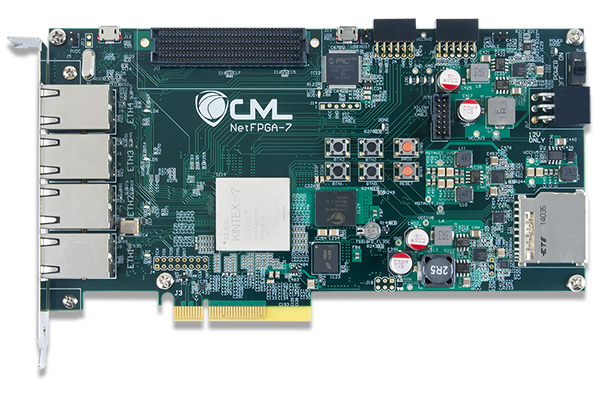 The NetFPGA-1G-CML is a versatile, low-cost network hardware development platform featuring a Xilinx® Kintex®-7 XC7K325T FPGA and includes four Ethernet interfaces capable of negotiating up to 1 GB/s connections. 512 MB of 800 MHz DDR3 can support high-throughput packet buffering while 4.5 MB of QDRII+ can maintain low-latency access to high demand data, like routing tables. Rapid boot configuration is supported by a 128 MB BPI Flash, which is also available for non-volatile storage applications. 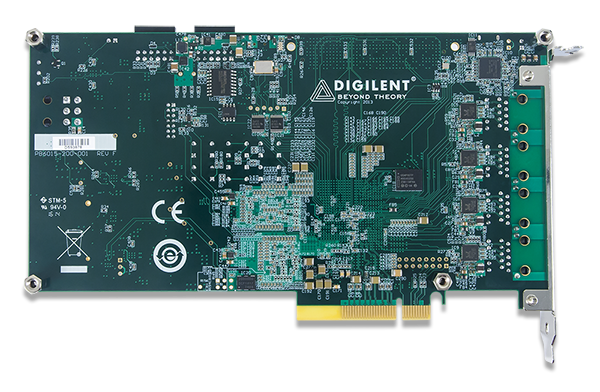 The standard PCIe form factor supports high speed x4 Gen 2 interfacing. 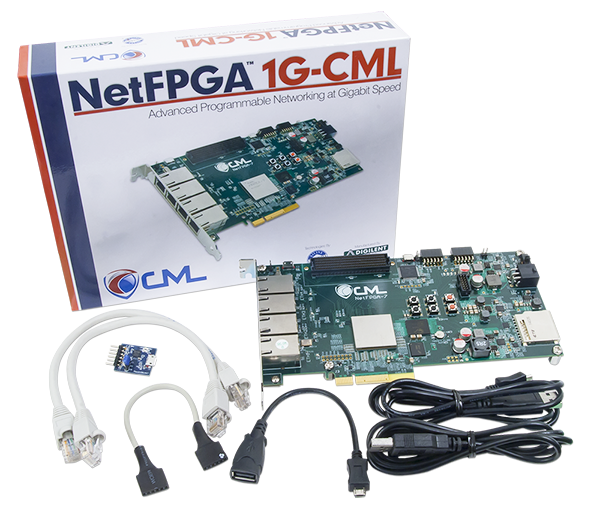 The FMC carrier connector provides a convenient expansion interface for extending card functionality via Select I/O and GTX serial interfaces. The FMC connector can support SATA-II data rates for network storage applications. 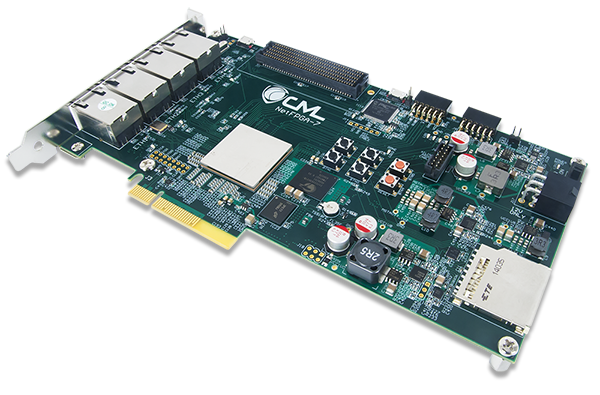 The FMC connector can also be used to extend functionality via a wide variety of other cards designed for communication, measurement, and control.